If a customer calls and has a question about their Sales Order, simply navigate within your host system to the Sales Order and PaperSave notifies you that documents exist with our MS Outlook®-style notification window allowing you to retrieve the information within a click! Pull all documents relating to a SmartList results within a click. Save time by eliminating the need to create a SmartList and pull the documents out of your filing cabinet one by one! 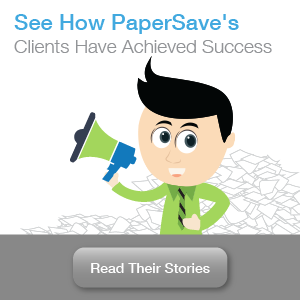 Once a group of documents are retrieved, PaperSave allows you to view, email or print all of the supporting documents. 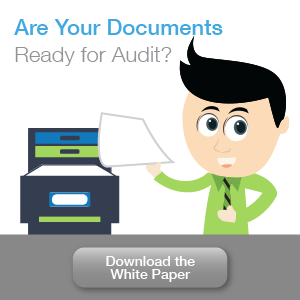 Reduce the burden of Audit Preparation by eliminating the time it takes to pull the supporting documents individually with the SmartList integration. Allows you to search through information on the document. Don’t rely on just metadata for search and retrieval! Internet search engines such as “Google” or “Bing” search webpages for “key words” or “values”. PaperSave performs similar unstructured searches on Record Values (metadata), Document Profile Fields (user defined metadata) and the Content* of the document. PaperSave makes even advanced queries of documents simple. Easily create Structured Queries based on Record Information, Profile Information (user defined metadata) and Content without having any technical skills. Documents results can then be further filtered using Boolean Logic, sorted, exported, email or printed from your desktop. How much time do you spend digging through files looking for a delivery ticket or a Bill of Lading when a customer calls? After an AP check run, do you have to manually match the check stub to the invoice, receiver and purchase order? PaperSave automates this process by capitalizing on the relationships between records in Dynamics and extending the relationships to the supporting PaperSave documents. Simply open up the Sales Order, Purchase Order or any associated transaction to view the matched documents collected through the process.